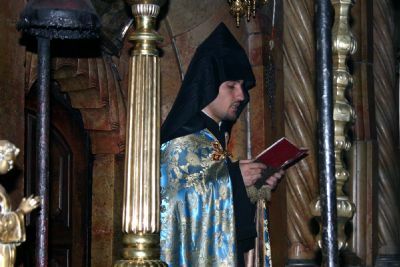 The Armenians are the oldest Christian community in Jerusalem. They have significant “rights” in the Church of the Holy Sepulcher—probably only second to the Greek Orthodox. Turning left (north) when entering the church leads past the Armenian area that commemorates the traditional site where it is said the three Marys watched the crucifixion.